The SIPA | Accredited or not? Because there appears to be some confusion in the broker community about the applicability of the “accredited investor” definition to the defense of customer securities arbitration proceedings, I offer this perspective. The accredited investor definition is well-known, but for the reader’s convenience I restate it here. Under current federal securities law, an “accredited investor” is a status determined either by an investor’s net worth or income at the time of the transaction. The asset test generally requires that a natural person have a net worth, or joint net worth with that person’s spouse, in excess of $1,000,000, excluding the investor’s primary residence, but including as a liability in the net worth calculation the amount of indebtedness secured by the residence that exceeds its market value. The income test requires that a natural person to have had an individual income in excess of $200,000 in each of the two most recent years or joint income with that person’s spouse in excess of $300,000 in each of those years and has a reasonable expectation of reaching the same income level in the current year. The source of the accredited investor definition is Regulation D, Rule 501(a). The definition of accredited investor is not an affirmative defense in any litigation context except when: (a) offered by a securities issuer to prove its compliance with the private offering exemption from securities registration found in Regulation D Rules 505 and 506, or (b) by a broker or brokerage firm participating in a securities offering to prove that it maintained the requirements of Rules 505 or 506 on behalf of the issuer. In the private offering context, a securities issuer seeking to rely on the Rule 505 or 506 exemption requirements must always be able to demonstrate that it strictly complied with the exemption from registration requirements. Securities sales to accredited investors eliminate many Regulation D compliance concerns; whereas, a securities sale to a single unaccredited investor in a private unregistered offering triggers the application of a number of Regulation D compliance requirements for the securities issuer. Thus, for example, financial statements need not be provided to accredited investors in a Rule 505 or 506 offering, but financial statements must be provided to unaccredited investors, and, depending on the amount of money raised, an audited balance sheet or audited financial statements is required. The higher the dollar amount of the unregistered Rule 505 or 506 offering, the greater the amount of written disclosure required for unaccredited investors. “…have a reasonable basis to believe that a recommended transaction or investment strategy involving a security or securities is suitable for the customer, based on the information obtained through the reasonable diligence of the member or associated person to ascertain the customer’s investment profile. A customer’s investment profile includes, but is not limited to, the customer’s age, other investments, financial situation and needs, tax status, investment objectives, investment experience, investment time horizon, liquidity needs, risk tolerance, and any other information the customer may disclose to the member or associated person in connection with such recommendation.” FINRA Rule 2111. 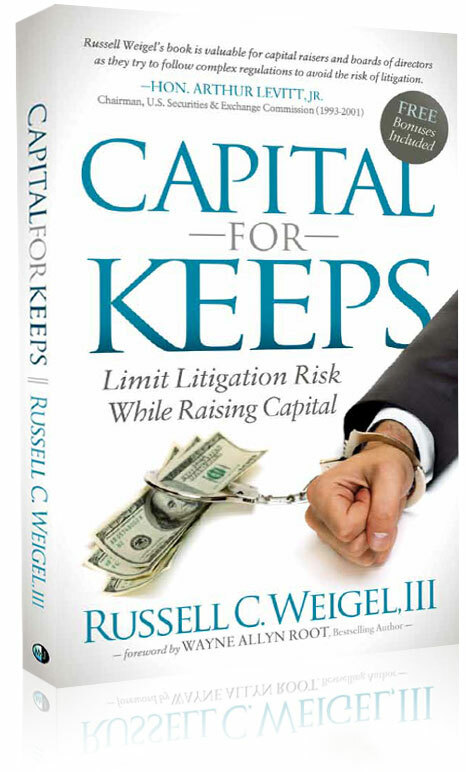 The broker’s defense to a so-called accredited investor’s or customer’s claim of unsuitability could be that the customer’s lifestyle would not be changed by a loss of the investment, and therefore the investment was suitable, taken in conjunction with other considerations of the customer’s profile and objectives. Referring to the wealthy customer as being “accredited” in this context is not a Regulation D-based defense, which is not relevant to a secondary trading issue. Instead, “accredited” in this context is a euphemism or street talk for “wealthy” and not a reference to the issuer transaction exemptions in Regulation D. Thus, the broker’s legal defense in a secondary trading case is not that the customer is “accredited;” the defense is focused on the wealth and objectives of the customer and his or her ability to absorb a trading loss in a transaction that was properly disclosed and was consistent with the customer’s objectives and profile. Conversely, a private placement sale transaction wherein the broker’s firm acts as placement agent for the issuer should take into account whether the purchaser is an accredited investor under Regulation D because the brokerage firm will have a compliance obligation to ensure, among other regulatory requirements, that the requirements of the Securities Act, Regulation D, and FINRA rules are complied with. 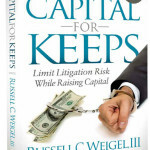 The law firm of Russell C. Weigel, III, P.A. practices corporation and securities law nationwide and specializes in taking companies public, helping public companies prepare SEC filings and stay compliant with federal and state securities laws, preparing transaction and disclosure documents for Rule 506 offerings, and defending issuers and other securities industry participants from SEC and FINRA enforcement actions and from customer arbitrations. ← Who is the real criminal here?